Take the Lift Up to the Top of the Towers of the Nativity or Passion Facade. 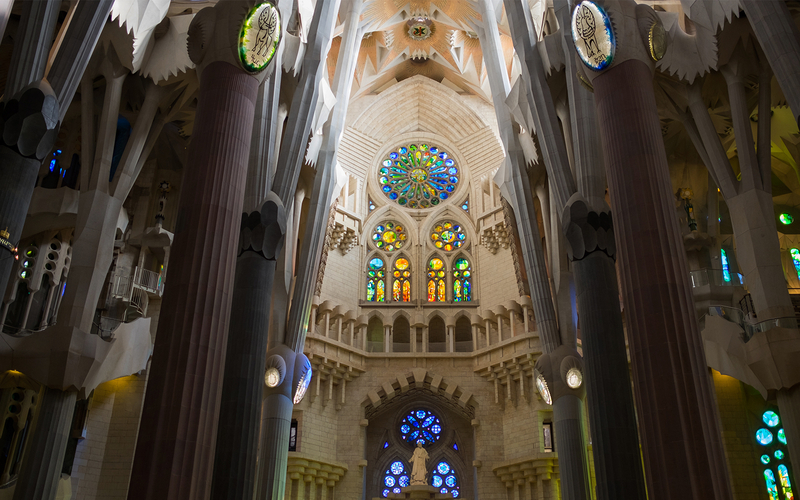 At the Sagrada Familia, you will come face to face with one of the most ambitious and eccentric architectural projects of the past century. With the tower ticket, you will be able to scale one of the two towers. Since the Nativity and the Passion Facades are not joined, the access points to these spires are different. The top of these towers can only be accessed via a lift, one for each facade. 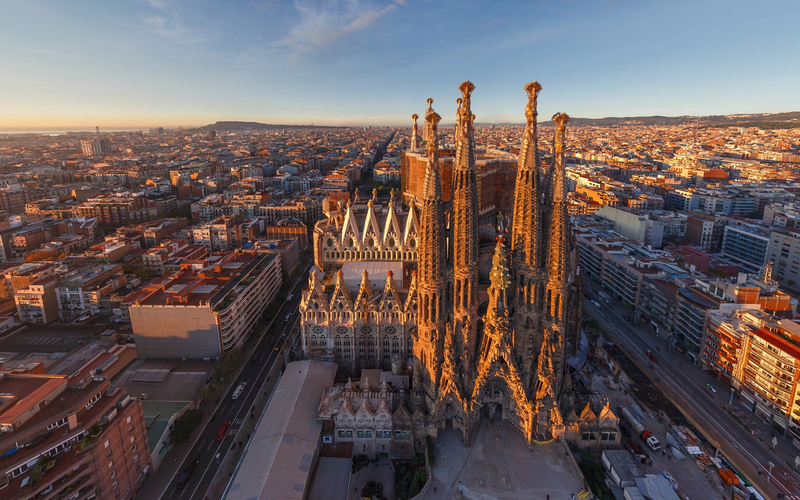 You can choose to go up the spire on the Nativity Facade and get views over the east of Barcelona, or the tower of the Passion Facade that faces the city center. Visitors must take the stairs down from the towers, both on the Passion Facade and the Nativity Facade. Children younger than 6 cannot go up the towers and children under 16 must be accompanied by an adult. An audio guide will be monumental to your visit to the Sagrada Familia as you will learn more intimate details about Gaudi's masterpiece. You will be able to choose your preferred language upon arrival at the venue. You will realize how it's architectural and historical significance is unparalleled. 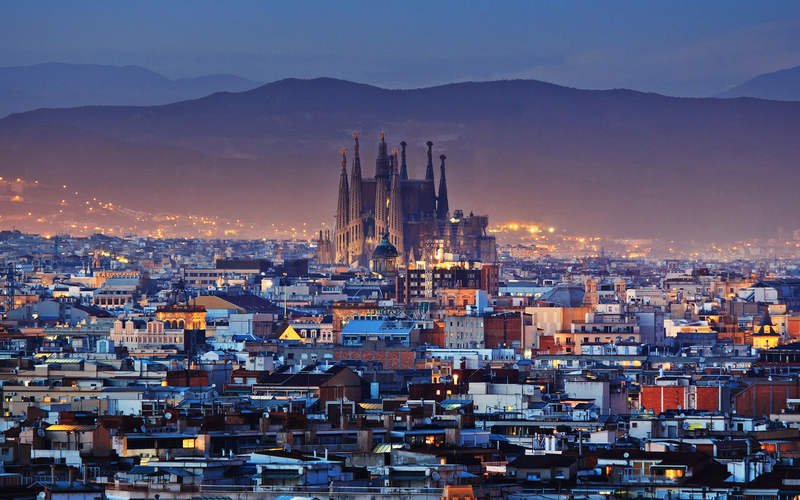 By the end of your Sagrada Familia visit, you won’t just have “seen” Barcelona’s crown jewel; you’ll have discovered their histories, stories, and what makes it so notable. With these fast-track tickets from Headout that you can book online, you need not worry about the long winding queues and you will also be guaranteed access to an otherwise sold out attraction. Take the lift up to the top of the towers of the Nativity or Passion Facade and enjoy unparalleled views of the city of Barcelona. You will also benefit from a handy multilingual audio guide to learn more about its rich history and round off your experience at this architectural wonder! Please note that children under the age of 6 will not be given entry into the towers for security reasons. We ask you to take this into consideration at the time of making your reservation. Tower access is not recommended for pregnant or claustrophobic people. Entry to the Sagrada Familia is timed. You will have the option to choose the time slot for your entry in the next step of the booking. Please note that the time slot you choose is the time at which you will gain entry to the tower. Your entry to the Basilica will be 15 minutes prior to the time slot you choose for entry to the tower. Once you're done visiting the tower, you may explore the basilica for as long as you wish. Most visitors spend around an hour and a half inside. Entry for children aged eleven and below is free. You will have the option to choose the number of children who require free entry at the time of checkout. However, please note that audioguides are not provided for children below the age of 11. You will be able to choose your preferred language upon arrival at the venue. You will be able to access either the Nativity Facade or the Passion Facade towers, based on the option you choose at the time of booking. You will access the top of the towers via elevator while you will descend via stairs. 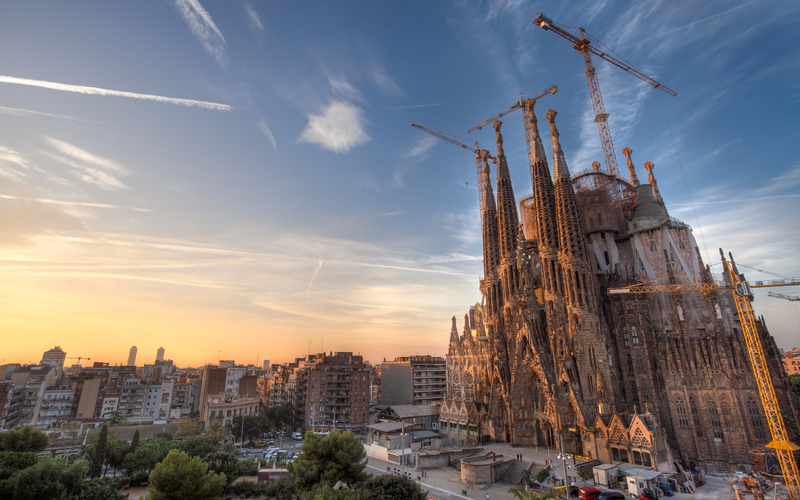 You will receive an email confirmation with your Sagrada Familia mobile tickets shortly. No need to print. You can skip the ticket line and go directly to the security line with your mobile voucher. Access to one of the two towers - Nativity or Passion Facade. Audioguides for children below the age of 11.